This state offers some of the most intriguing wine experiences, including a vineyard with llamas, one with treehouses and the country’s most-visited winery. North Carolina is the home of America’s first grape, and our state is the only place in the world where every major type of grape is grown. There’s nothing quite like tasting wine where it was made, and your options here are as varied as they are plentiful. With more than 185 wineries across North Carolina, you can map your way through wine trails and savor every stop. Here are some of the many wine experiences you'll be enticed to plan a trip around. The Yadkin Valley area is one of the most prominent wine regions you’ll find on the East Coast. 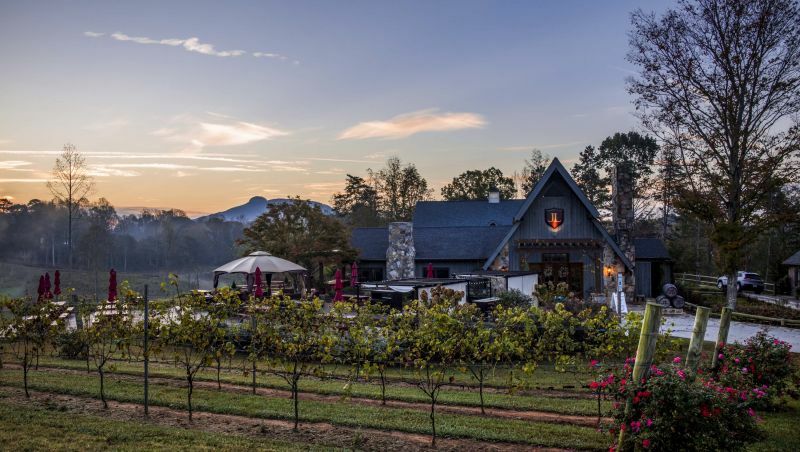 While the valley is home to more than 40 vineyards and wineries, you can plan your trip by focusing on the dozen that stretch across the charming, neighboring towns of Elkin, Pilot Mountain, Dobson and Mount Airy. Fun fact: Mount Airy was made famous as the inspiration for the town of Mayberry on The Andy Griffith Show. 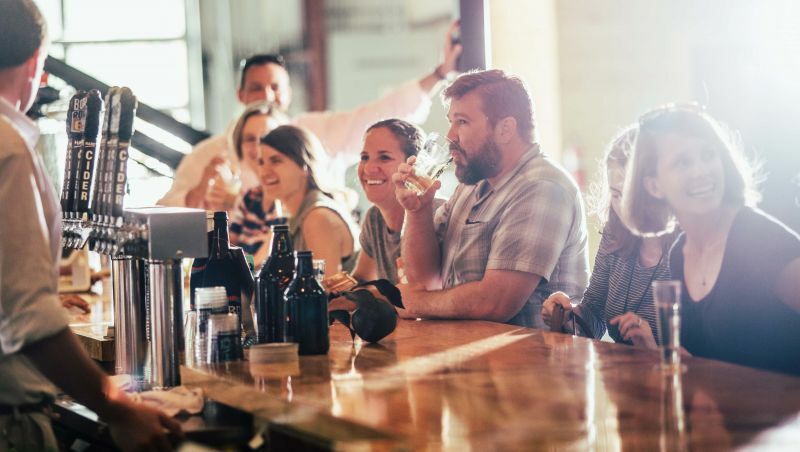 To sample many of Yadkin Valley's wineries, pick up a Yadkin Valley Wine & Beer Passport, which includes tastings at 10 award-winning wineries and two craft breweries, discounts at local restaurants and more. The passport is valid from Nov. 23, 2018, through March 20, 2019. If a weekend getaway – or even day trip – is on your horizon, set your sights on a smaller section of Yadkin Valley. The Swan Creek Wine Trail offers you 4 vineyards, all within 5 miles of one another. These wineries specialize in varietal wines and blends – including a strawberry "shortcake" wine at Shadow Springs Vineyard – but each maintains its own atmosphere and winemaking approach. About 30 minutes outside of Winston-Salem lies one of the most unique vineyards anywhere. 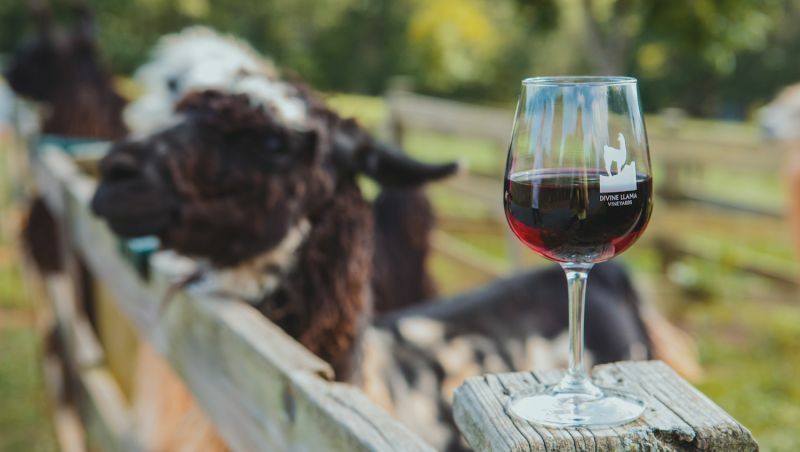 At Divine Llama Vineyards, you'll thoroughly enjoy carrying your glass of wine from the tasting room to the field of llamas. These furry guys will sure to bring a smile to your face. And while they're the headliner (the vineyard is named for them, after all), there are also miniature horses here, plus a selection of 10 wines. Plan your trip wisely, as the tasting room is only open Friday, Saturday and Sunday. Ask someone what to eat during your visit to North Carolina, and the response will likely be barbecue. Pitmasters have perfected different ways of cooking, flavoring and serving up the ’cue, but you won’t find a place where it’s taken more seriously than in Lexington. Located in the central region of the state, this city has its own style of barbecue, the aptly named Lexington-style. But a tasty trip here wouldn’t be complete without tasting wines along the Southern Gateway Wine Trail. Childress Vineyards, founded by NASCAR legend Richard Childress, features award-winning wines, a large tasting room, restaurant and gift shop. Head to the North Carolina mountains and be prepared to encounter breathtaking views. Spend time in Asheville, where you’ll want to visit Biltmore, the largest private home in America. Totaling 175,000 square feet and 250 rooms, the Biltmore house offers tours of this grand spectacle you must see to believe, along with 8,000 acres of gardens. The estate also features the country’s most-visited winery, where a tour of the massive cellar takes you underground. On the opposite end of the state, near the coast, is Duplin Winery in Rose Hill. 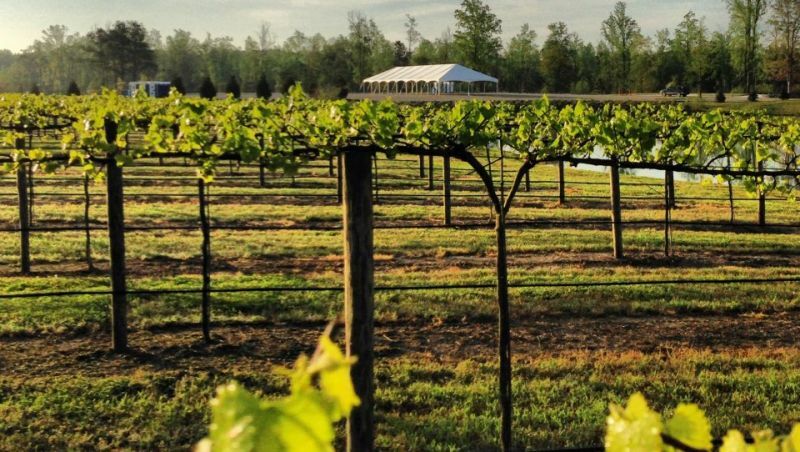 Duplin has the largest wine production facility on the East Coast, so visitors from around the country are often familiar, having bought bottles of the popular Carolina Red, Hatteras Red, Magnolia and Scuppernong labels from their local wine stores. Spend an afternoon or evening here, enjoy tastings and a tour, food from the bistro and live music. The enjoyment doesn’t stop when the tasting room closes. An increasing number of wineries offer overnight accommodations to extend the great grape experience. Banner Elk Winery & Villa, in the mountains, offers some of the largest suites with incredible views and Jacuzzi tubs. 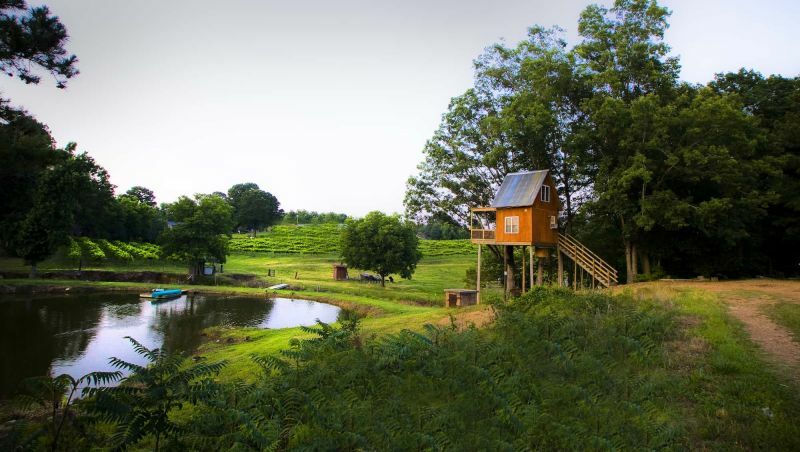 While Treehouse Vineyards in Monroe, near Charlotte, provides a unique wine getaway experience from a treetop. 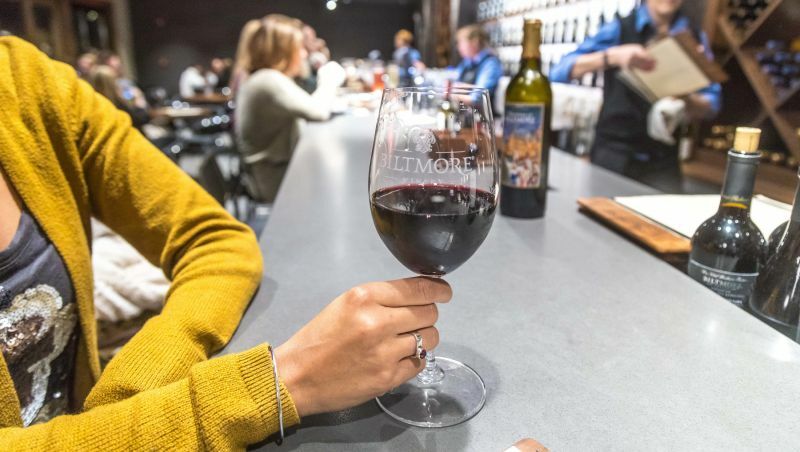 North Carolina has long been revered for its wine, and in recent years the state has become a beer mecca, home to the most craft breweries in the South. Now, hard cider is hitting its sweet spot. Several cideries have opened here, which seems fitting as the state ranks 7th in yearly apple production. Bold Rock Hard Cider opened a cidery in Mills River, near Asheville, featuring a taproom, tasting bar and patio. Enjoy North Carolina’s wineries and vineyards, and remember to drink responsibly. Please designate a driver.